Kwid EV will share design cues with the Renault K-ZE concept shown earlier; will be unveiled at the Shanghai Motor show 2019. Renault will unveil its smallest and most-affordable EV based on the Kwid hatchback at the Shanghai motor show 2019. The Renault Kwid EV will be built with Dongfeng Motors, the brand’s Chinese partner, with production expected to commence later this year for the Chinese market as well as a few export markets. It will be produced at Dongfeng’s production facility in Shiyan in central China, which has an annual production capacity of 1,20,000 units. Renault showcased the Kwid EV in concept form as the K-ZE concept last year at the Paris motor show. The production-spec Kwid EV is expected to sport a styling close to that of the concept. At the front, it gets a stylish grille with a split headlamp design that divides the LED daytime running lamps and large headlamps placed below them – a layout similar to that on the Tata Harrier and the upcoming Hyundai Venue SUV. 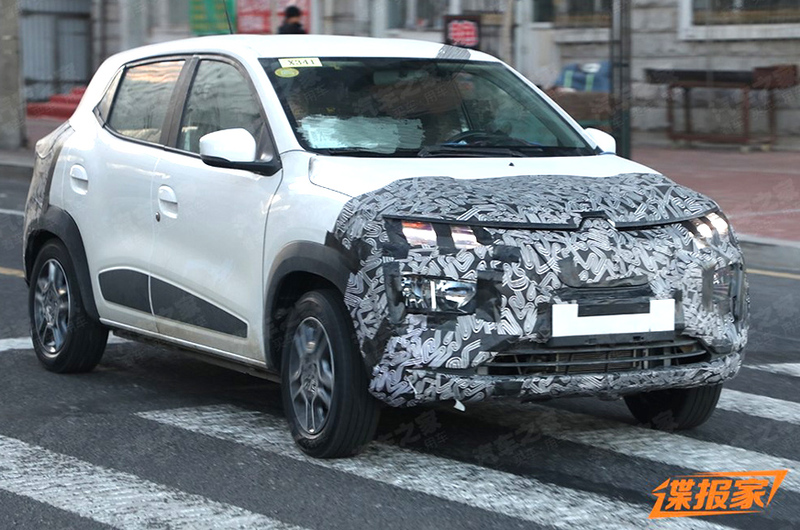 At the rear, the Kwid EV gets new tail-lights and a slightly redesigned bumper. The light units at the rear also appear to be LED units, meant to give the car a more modern look. The Kwid EV’s powertrain is jointly developed by Renault and Dongfeng under the eGT New Energy Automotive joint venture that was formed last year. While no technical details of the production-spec Kwid EV have been revealed yet, the K-ZE concept was said to have a claimed range of 250km in the NEDC cycle and be capable of being charged via domestic plugs and public charging infrastructure. Renault is also gearing up for the market launch of the new Triber MPV which is expected to be in the coming months.